Analyzing the glitches that occur in life, through psychedelics, adventures, language, and love. Hosted by married comedians Adrienne Airhart and Aristotle Georgeson with new guests each episode. Email hey@glitchinpodcast.com to share your own glitches! Adrienne and Aristotle welcome their friend and meme lord Sonny Side Up (@sonny5ideup)! They discuss the world of memes and how Sonny defines a glitch. Adrienne and Aristotle welcome their friend and cannabis expert, Jessica Martin (@JessicaElizabethMartin)! They discuss the glitches she's experienced in her dreams as well her intuitiveness during tarot card reads! Adrienne and Aristotle chat with their friend and comedian/writer, Nick West (@nickwestcomedy)! They discuss the glitches he's experienced which make the world seem much smaller than it actually is and Adrienne finally brings back the linguistic games! Adrienne and Aristotle chat with their friend and music producer/filmmaker, Matty O'Connor (@MattyGhost)! They discuss the glitches he's experienced with his birthday and the weirdness that occurs at music festivals. Adrienne and Aristotle chat with their friend and comedian, Neel Nanda @neelnanda to discuss his personal glitches which have all occurred in his dreams, his experience as a touring comedian and digging deeper within himself to create more challenging standup material. Adrienne and Aristotle chat with their friend; writer, producer Morgan Roger @IamMorganRoger to discuss her personal glitches, her experience producing a multitude of web content, and a family mystery. Adrienne and Aristotle chat with their friend and touring comedian Alex Hooper @hooperhairpuff to discuss his personal glitches, his experience on America's Got Talent, and music festivals. Adrienne and Aristotle grab their good buddy Adam Ill aka "The Highest Host" @gethigheverywhere to discuss his personal glitches, some linguistics fun, and psychedelics. Adrienne Airhart and Aristotle Georgeson discuss the inception of the Glitchin podcast and the glitches in their lives. 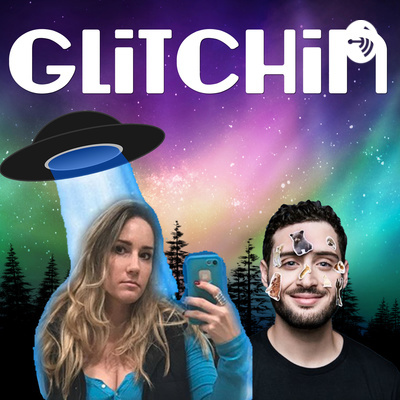 To share your own GLITCH with A & A, email hey@glitchinpodcast.com!